Recently, we discussed the career ceiling in community management. We’re extending that conversation on this episode, talking about the community manager job hunt with an experienced professional looking for work. Trella Rath has been a community manager for 6 years, with a more recent focus on social media. She got her start by managing various communities on the Wikia platform (think Glee Wiki, Lostpedia, WoWWiki). She moved over to the gaming industry for a stint and managed the North American community for World of Tanks, before then moving over to the advertising industry. There she took on the mantle of a well-known snack mascot, where she managed two communities for the agency’s Frito-Lay clients. In her free time, Trella enjoys exploring the Bay Area and attempting to train her pet parrotlet, Mochi. She is currently looking for her next gig! 00:20 Patrick O’Keefe: Hello, and thank you for joining me for this episode of Community Signal with Trella Rath where we’ll be discussing what a community manager job hunt looks like and getting in-depth on the challenges of managing a highly visible wiki. Trella has been a community manager for six years, more recently focused on social media. 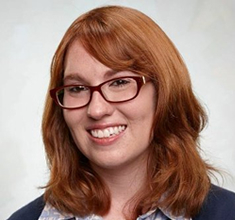 She got her start by managing various communities on the Wikia platform, think Glee Wiki, Lostpedia and WoWWiki. She moved over to the gaming industry for a stint and managed the North American community for World of Tanks before then moving over to the advertising industry. There, she took on the mantle of a well-known snack mascot where she managed two communities for the agencies Frito-Lay clients. In her free time, Trella enjoys exploring the Bay Area and attempting to train her parrotlet, Mochi. She is currently looking for her next gig. Trella, welcome to the program. 01:06 Trella Rath: Hello. Thanks for having me. 01:07 Patrick O’Keefe: It’s a pleasure to have you. And as I said, you’re currently looking for your next job. I don’t think you’re the first Community Signal guest this was true of, but I thought we might discuss what the job hunt looks like for a community professional with experience. You have six years of experience experience split between community management and what I would call “generic social media.” You were laid off from your job a month ago, and since then, you’ve been looking for a new role. Two episodes ago, I talked with Alexandra Dao about the community management career ceiling and how there are so many junior jobs in community. You, having the experience that you have, are likely not looking for an entry-level community role. You’re in San Francisco which is a great area for community jobs but also, I imagine, highly competitive. So let’s talk about your search. What’s it been like? 1:51 Trella Rath: Man, it’s been all over the place. Like you said before, there are a ton of entry-level community jobs out there. A sea of them. And I feel like I plastered the town with my resume, LinkedIn and all those sources where you go job hunting. I’ve had recruiters say like, “Hey, your qualifications–your background’s awesome, but we have a very small budget for bringing on a community person.” Which is why they’re looking to hire junior. Yeah, it’s been a bit of a challenge. But the places I have gotten interviews with, phone and onsite, have been super excited and passionate to bring in someone with experience and kind of really take their communities to the next step, so I’m hopeful about that. But yes, still looking. 02:34 Patrick O’Keefe: And you mentioned interview, so you’re like I said about almost a month I think since you’ve been laid off and you’ve had multiple interviews. So that’s a good thing, right? 02:41 Trella Rath: Mmhmm. Yeah. I was laid off right before the holidays. 02:52 Trella Rath: Yeah. It hit me really hard. I didn’t see it coming t all. But I had a big trip planned home to New Jersey to see my parents, so I was just like, “You know what? I’m going to take two weeks, Christmas, hang out with the family.” Didn’t have a laptop on me. Totally gave me time to chill out and reduce my stress level, and then go into job hunting first thing January 1st. So it was nice. I didn’t have to work for the first time ever on Christmas break which is awesome. 03:19 Patrick O’Keefe: Why do companies lay people off before the holidays? What’s the deal with that? 03:23 Trella Rath: So they told me it was because they were trying to get all their books in order. And they didn’t want to be in the red ’til end of 2016. I don’t know if that’s true or not. 03:35 Patrick O’Keefe: Would have put them in the red. The community manager, that was the tipping point. 03:40 Trella Rath: I have no idea. 03:42 Trella Rath: But yeah. I was not the only person in my friend group to have gotten laid off right before the holidays, so it’s definitely a common practice across multiple industries. 03:52 Patrick O’Keefe: You mentioned junior roles. You know how a lot of the roles you’re seeing are junior. What does that mean to you? What are you seeing? A responsibility level, a salary level, both? When you look at a job and you’re thinking of applying, what makes you say, “Oh, that’s a junior level role.” And also, sidebar, I understand that salary is almost never posted so you almost have to apply to find out, right? 04:10 Trella Rath: Right. So yeah, I think it’s a combination of the two. I think it’s salary level. I just had a really great interview with a company yesterday, and they said, “You’re awesome. We really like you. But off the books, we really want to bring in someone who has less experience but is really eager and can go get them.” And that was kind of my idea like, “Oh, huh. I guess they want someone to do the work, but not pay them as much money for the work.” I guess? 04:35 Patrick O’Keefe: Mmhmm. Great combination. 04:54 Patrick O’Keefe: Yeah. Because at that point you’re ready to level up after six years. This is when you’re looking to move to–Even if you’re title is still community manager, you want to be responsible for other people, right? Ideally, you would move up to maybe a head of community or some sort of higher title role. But at the very least, you want to be leading a team or have the opportunity to build a team I would think. 05:12 Trella Rath: Yeah. And I mean that’s why I left one of my most recent jobs is because I wanted to take that next step and level up. And they just didn’t have the budget to really build a community team which is such a bummer because I really liked working there. I really liked the clients and the account, and they just didn’t want to make the investment. It’s sad. I think it’s definitely more of a challenge to find those places that want to make the investment and grow and build their community team, but I feel like once you find these places, you want to stick with them. 05:42 Patrick O’Keefe: As I’ve mentioned on the show before, I’m also looking for a role. I’m looking to move up to New York City and kind of take the next step with my girlfriend. I’m okay. I wouldn’t say I’m unemployed right now, but I want a role to facilitate that because it’s going to cost money and the cost of living for me is going to go up quite a bit. 05:57 Patrick O’Keefe: San Francisco may be one of the few cities that are higher cost of living in fact. And when you think about the salary picture, you mentioned in your conversations, they said they had a limited budget. I mean do they come out and tell you what that was? I assume my guess from talking to different companies that it’s like forty, fifty, sixty thousand which in Middle America might be great, but in New York City or San Francisco is not very much. 06:38 Patrick O’Keefe: Is it mostly start-ups? 07:00 Patrick O’Keefe: Because there’s a line out the door of people who love the game, who are gamers, who want to be a part of that world. 07:05 Patrick O’Keefe: And maybe they don’t have a lot of community management experience, but they’re hopeful that their passion translates. And in some cases, it does. But I talked to a company, and I applied for a job, and I applied for it because there was something in it. It seemed really junior, but it was like you could be the founding community manager. And I was like okay, that sounds interesting. I like to be able to set things up, so I applied. And they responded. They were like, “Well, you’re way over qualified.” Which not to flatter myself in any way could be a cop out. A lot of people say that’s “Oh, go way.” It’s a pat on the head. It’s like, “Oh yeah, you’re way too qualified.” But they actually had me come in and talk to them, so it seemed like there were some credence to what they said, and basically during that meeting, I kind of pitched them on the idea and they were receptive to it because it was a one-hour meeting that went for three hours. They wanted someone to come in and kind of coach them up. So their thing was, “We could hire someone for this and then we could pay you to come in and kind of train them and teach them.” And I’m like, “Okay, you could do that. You could send them to conferences. You could buy seminars for them. You could pay me $200 an hour which is my normal billable rate to come in and talk to them. But what I would do if I were you is not hire me to do that. I would hire someone like me with experience and pay more. And then let them build a strong–” Because if it’s gonna be just them, it’s a one-person department for a while, let them build it up, and then they can mentor less experienced people under them when the opportunity presents itself. Let them mentor people versus paying me and whoever else to kind of coach people up. And they were receptive to that but it didn’t go anywhere. But I don’t know. I think what happens a lot of the time is people who were hiring community don’t understand community and think of it as a very junior job that they hire someone to do and then that’s it. They don’t recognize that there’s kind of a larger industry, that there are people who have been doing this for ten, fifteen, twenty plus years. 08:47 Patrick O’Keefe: And that there are levels to the career in different ways you can advance. And it’s tough to overcome that because a lot of times, they’re really set in that mindset that that’s what the role is and it’s not a role where you would advance. It’s a role where you start and move on. 09:38 Patrick O’Keefe: I actually interviewed for another role with an agency to be sort of a head of community and be a part of the weekly meeting with all the executives. 09:44 Trella Rath: Oh, wow. 09:44 Patrick O’Keefe: A funny thing happened when I talked to people in the community team there. They said, “No one speaks for us, no one talks for us here. We need someone who can come up and stand up for us at meetings and explain what community does and defend the value of community because we don’t have that voice here.” And I thought that was really sad and also enlightening. The enlightening point is they had this team. They had a few people. They had clients who had real communities, like hosted communities where their customers were coming to engage with them as a brand. Not just on Facebook or Twitter, but actual hosted community. So they understood it somewhat, but the people who were working there felt like no one was advocating for them within this company, within this small agency. And I found that to be kind of really interesting because even though the interviews went well, it didn’t work out. But the interviews went well and everybody seemed to be pretty cool, there was still that undercurrent even at a small smart digital agency where they didn’t necessarily understand how to communicate and pitch community not only to clients but also internally. 10:43 Trella Rath: Right. That poor team. 10:45 Patrick O’Keefe: Yeah. Poor team. And as you look for roles, beyond what we’ve talked about, is there anything else in your experience that has struck you as being a road block or a challenge as you tried to find a new role? Or is there something that has surprised you in a very good way? 11:59 Patrick O’Keefe: It’s a fair point. I guess we all have to decide that. How much of our soul are willing to carve out to get this job? Because I had a very nice person that I know introduce me to different start-ups in New York. He was thinking about my work and he said, “You know what? You’ve got experience in influencer marketing.” I was like “Okay.” And he’s like, “Well, if you think about it. Your communities that you built, these are the most influential people in that space when you host a community on a particular vertical.” In my case, I built a large successful martial arts community. “These are the people spending money on martial arts equipment and on tools and resources. And these are the people that the companies want to reach. These are the influencers in those spaces. So you’ve done influence of marketing, so you could use that term.” And I was like, “That’s very smart.” I’m not sure if I want to be an influence of marketing though as it is generally pitched. 12:44 Patrick O’Keefe: So it’s interesting to think about, I don’t know, updating the resume with the vernacular that sort of relates to what you do so that people hopefully understand it. But like you said, there’s also this risk of people not understanding and putting you in roles where you don’t want to work. And this is true for community people that even now–it’s gotten better. But even now, community is used in a way where I would say a lot of community managers aren’t even really doing community work either at all or as a majority of their work. Like, it may only be a small part of their job. They may be social media marketers more like. And they have writing jobs, right? I’ve seen community manager jobs where it’s all writing. Where content can certainly be a part of community management, but community is a different sort of thing facilitating interaction between people, between one another, not just with the company, not just writing posts and writing blogs. So it’s interesting because that definitely happens a lot too, so I guess we just have to know what we want to do and then try to go after it. 13:45 Trella Rath: Exactly, yeah. I mean, I think community manager is such a broad term. And where jobs where social has been the focus. And when I go in and I explain in my resume, I’m like, “Yeah, it says community manager, but really, it was like social media manager,” because the community lived on Twitter and on Facebook and most of the job that is posting and responding to those comments. It’s interesting. I’ve talked to other community managers too where it’s like, “Well, what do you do?” “Well, I do B2B and blah blah blah.” And I’m like, “Oh my gosh, I do nothing like that.” We have the same title, but we do completely different things. 14:19 Patrick O’Keefe: Yeah. Community can be a wide umbrella. But in the industry, we have an idea of what it is. And community is either a space where people come to engage with one another or it’s the group of people that engage around your brand. So Coca-Cola has a community of fans, right? But also, cocacolaforums.com is an individual specific community. It’s not a real one. I made it up, but my point is that that’s a hosted community where people come and visit. So there’s kind of two definitions of community that I work with and that I see in the space. But when you get outside of that, there is this wide mix. And I never told anyone like–I met a community manager and told him to their face “You don’t do community work.” But I’ve definitely had those thoughts in meeting people. But it is also a wide umbrella because that act of facilitating interaction between people can touch a lot of different parts of the business. They can touch customer success. Some company’s customer success is very community-oriented where really it’s about connecting your customers. That comes up in B2B quite a lot where you’re connecting your customers so they share best practices with one another. Very community related. Support can obviously be very community related. Abuse for some platforms can be very community related. Also in the news media, there’s a lot of community work that gets done on news media sites, but they often call it audience or audience development. Associations might call it a member director, right? So there are all sorts of areas that are essentially community work, but the terminology’s different. So yeah, I don’t know if that helped the confusion or not, but it’s important when you’re job hunting to kind of understand what you’re looking for and to understand those terms and then to kind of dig in to the job description. Because I have seen jobs where it’s a community person, but they require three years of search marketing experience. They require two years of email marketing experience, but they don’t require any community experience. So what they’re really hiring is an email and social marketer, but they want to call it a community manager because it’s cool or something. 16:05 Trella Rath: Yup. Exactly. 16:08 Patrick O’Keefe: So I would love to hear stories from other people who might be currently in the job search or recently in the job hunt in the comments on Community Signal. What are you seeing that’s good? What are you seeing that’s bad? What challenges are you facing? I love to kind of learn about those stories. And for community pros looking for jobs outside of the big job aggregators in LinkedIn which are a good idea to be a part of because community jobs do get posted on them, I really recommend subscribing to the We Support NYC newsletter. It is focused on New York City, but they do have jobs in other cities sometimes. They do a good job curating that list. The Community.is newsletter from Sarah Judd Welch. It often has some jobs entered at the bottom. The Community Roundtable blog is really good for this. They post a summary of jobs every so often. I think it might be weekly and you can email, subscribe to their blog, and you’ll be able to notice the post and read it. And also one that I think some people might list especially if you’re into start-ups, set up some job alerts at AngelList because AngelList, it gets a lot of different job postings about community, customer-oriented roles at startups, and so you can essentially filter down to “I want jobs about community building that pay this much and are located in this city.” Obviously, there’s a very big West Coast contingent on there, but there’s also an international presence on there. Different cities around the world, New York City, East Coast, I’ve seen a lot of different roles. So I’ll have links to all of those in the show notes as well. One last question on this. The job that you applied for and had–Well, actually, you said that they were mostly coming through connections which I find to be true as well. I had someone tell me not even to bother applying to a job in New York City if I didn’t have a connection. 17:34 Patrick O’Keefe: I’m not following that advice. If I want a job, I’m going to apply. I’m going to write the best cover letter in the history of cover letters. At least in my opinion, I’ll try to. And then I’ll apply. But where have you found jobs that you applied for and then got the opportunity? Were there any particular services that stood out to you? 17:51 Trella Rath: It’s funny. All my friends in San Francisco are engineers or all software engineers and they’ve spoken so highly of hired.com. 18:23 Patrick O’Keefe: Yeah, it’s funny you say that. I did the exact same thing. 18:37 Trella Rath: I know. It’s so funny. I was so hyped up with my friends. I was like “Oh, I’m going to do it! : Then they’re like “No.” Yeah. I did the free trial of LinkedIn Premium and I actually am enjoying it. I don’t know if it’s just because it’s the beginning of January and budgets have been reset, but I’ve seen a lot of new job listings pop up which is nice. I’ve been using Glassdoor, glassdoor.com, which I found helpful, kind of a peek into some of the culture or supposed culture of some companies. At least for me, that’s a big important part of my next role is making sure I’m a good fit for the culture. Yeah, and word of mouth. 19:13 Patrick O’Keefe: Awesome. Thank you. We’ll have links again to all of those in the show notes. So let’s switch gears. Other topic I want to talk with you about to kind of pull from your experience is wikis. And you mentioned this–people who are passionate. You came to it because you were a member of the community. You participated in the WoWWiki which is part of Wikia and now Fandom powered by Wikia. And then Wikia was hiring and you were there and you got hired. And going from member to community manager, specifically when we’re talking about wikis, what challenges were the ones that surprised you that you might not have seen coming as you didn’t have that access behind the scenes? 20:33 Patrick O’Keefe: So it’s sort of like the competitive side of it. Maybe the political side of it in a way was what you now had access to. I don’t know if I want to call it the more ego side of community, but it’s funny because I find that wikis and most especially the talk pages of wikis, at least on Wikipedia, can be very political places. 20:53 Trella Rath: Oh yeah. 20:53 Patrick O’Keefe: I remember when I ran phpBBHacks.com, which was at the time the largest unofficial resource for the phpBB forum software, the people from the official site really tried to monopolize the phpBB Wikipedia page. They didn’t want there to be a link to my site, and I never added it and no one affiliated with me did. It was added because it was a site that a lot of people use. And they were probably–Oh gosh. They were probably–I don’t know. Hundreds of comments debating whether or not my site should be linked. And I never participated, but I did read them. And people out and out just made up things about me. For example, I wrote the foreword for the first ever book about phpBB, and they said how that was an insult, how the phpBB.com developer should have been the ones who wrote the foreword, and how I had been paid. Problem, I was never paid. I wasn’t paid for it. I did it for free. But they wanted to cast me in a bad light with the community. And that might have been a decade ago, but there is this phrase floated around these days that we are in a post-truth world. And when you were working with those wikis–the wikis you were working were gaming and TV shows. But still, the truth is important. How did you, I don’t know, go about encouraging or helping the community to find truth so that the wiki had the correct information? Do you play any sort of role in that? 22:13 Trella Rath: Yeah. So basically, wiki editors–At least at wikis that I was kind of helping oversee. This feud–we’re talking about people who watch the Glee Wiki and how they tend to be in high school, maybe late middle school, and once they kind of discovered the edit button, I can add anything in. Some of them got really giddy and would write their own stuff. So there was a lot of education to make sure, “Hey, we really only put the truth here. What’s your source for that? Oh, what’s the source. Okay. Well, let’s talk.” I kind of felt like a teacher some days. “Cite your sources, kids. Make sure your sources are credible.” It was fun. 22:49 Patrick O’Keefe: It’s interesting that you know that a lot of them were teenagers. Obviously, user base skewed all ages but–I don’t know. Would you say the backbone of at least a lot of the wikis on Wikia were people in their teens? People who are under 20. 23:05 Trella Rath: Oh yes. Most definitely. It was cute because we had chat on all the wikis and when they weren’t talking about editing or Glee or My Little Pony or whatever they’re editing the wiki about, they would talk about school. They would talk about their classes. Just kind of like day-to-day stuff. And we had kids from the Ukraine, kids from Massachusetts, all just kind of gathering around this one subject they are passionate about. It was super awesome. Really sweet. 23:33 Patrick O’Keefe: I have found–because I started in this space when I was a teenager, I started managing my own communities when I was a teenager–that a lot of people like me who were teenagers and either moderated or managed a community or contributed to a wiki, were sort of discounted because they were teenagers. But what is also funny is that as you sort of illustrated, the backbone of a lot of great communities is often teenagers who do a pretty good job. A lot who really work hard. A lot of the teenagers, yes, there’s this sort of stereotypical thing I would deal with. You can’t manage a community. You are egotistical or you want authority. “Get out of your mother’s basement.” A few people would say terrible things worse than that. I remember just awful things, right? But a lot of the communities we love and enjoy, even communities you might not expect, even communities that might skew to our professionals, a lot of the people in those communities that are really contributing a lot of good content or are working behind the scenes to help maintain that community are in fact teenagers. And I’ve always found that really interesting, really fascinating. I mean I’ve had volunteer moderators and still do for my entire career in this space, and a lot of my best moderators were teenagers. A lot of my best moderators were 40-year-olds. I think that’s one of the great equalizers of community is that for the most part, people are judged on the basis of their contributions. We don’t really know what theman67 looks like, right? We don’t know if that’s a man or a woman really. They put man in there. Or what their gender is. We don’t know where they’re from, what their background is. But we know what they’ve contributed to the community, and for that reason a lot of people who you might not even take a second glance at if you walk down the street get an opportunity to contribute in a really meaningful way to an online community. 25:45 Trella Rath: But not having that handle next to it, it’s actually really well-crafted and really well put together. 25:51 Patrick O’Keefe: I like how you mentioned that you don’t see the individual post on a page. It’s just one big piece of content. Because there was a lawsuit in 2012 filed by Internet Brands, the owner of Wikitravel, a wiki based travel guide, against a Wikipedia contributor and one of their volunteers. They were unhappy that the Wikipedia contributor had been trying to recruit people from Wikitravel to essentially emulate their site on Wikipedia. And they’re focus in that suit because they had no legal exclusivity over the content. It was all licensed through Creative Commons and could be reproduced with proper attribution, the same being true for Wikia. Online communities almost never have an exclusive right to content. Only a non-exclusive right to display that content. But in a community that’s based around discussion, there are often threads and conversations where each post is related to the last and each post has a different copyright holder. So it’s harder to legally duplicate the content and the experience in full, right? You can steal one member’s post, but if you take all these posts, that’s ten copyright holders. You’re violating all those people’s copyrights. But with wikis and with Fandom, it’s entirely possible and legal. And it’s interesting what that means to community building, right? Because if people can emulate the content, how does that change how you approach community building? Do you have any thoughts on that? 30:08 Patrick O’Keefe: When you were talking to people about that–educating people, was the response anger? Was it kind of confusion? Was it a mix? How did people respond when they were kind of confronted with the idea that, yeah, this is the license and it’s always been that way, and it’s essentially how most wikis operate? 30:24 Trella Rath: I think it was a mixture of confusion and anger. Again, the audience is younger, so it’s a lot of people just being like “No, that’s mine! They can’t have it.” Almost trying to go wage war on the other wiki. It’s like, “Oh wait. No. Stop. Please don’t do that.” And then maybe some a little bit more older users who had a better kind of understanding once it had been laid out and explained or like, “Oh, I guess that makes sense, but why didn’t they talk to us about this?” I mean this is one of the moderators that they have known and worked with. They felt very betrayed. A little heartbroken too. 30:58 Patrick O’Keefe: I play Call of Duty Zombies with my brothers, and they have this really intricate Easter eggs that are built into that mode where you have to go to this series of steps to finish the quest, and I would never be able to find this series of steps. So more often than not, when I look for a walk-through, I end up on Fandom. It’s really impressive the level of depth and how detailed it is. And I was thinking about this problem and how anyone could duplicate that content. So what it really comes back to–and, of course, Wikia had a leg up because of its backing, right? Because of who’s behind it. But the only way for that sort of venture to be successful is to create an environment where the people feel appreciated and the people come back for the people. I would assume. Is that fair? And the content is not it, because the content is great and authoritative and you get a lot of traffic and SEO for that and you can serve ads on it. But without people there to continually change that wiki, you’re going to be in trouble long-term. 31:52 Trella Rath: Right. Personally, when I was at Wikia, the Call of Duty editors who were very passionate about what they did, they were constantly hanging out if not on our platform on various Skype channels. They are all super close and they just wanted to make the wiki the best as possible, have the strongest content. So it was cool. They really came together around this passion and made the plunge to kind of edit together. 32:18 Patrick O’Keefe: In facilitating the kind of experience, how hands-on or hands-off are you? Because obviously, they took some ownership in it, right? It’s their words, and you mentioned the editors getting together. There are powerful editors, there are people who edit a ton of content, they collaborate, they work together. Is there sort of overall some sort of guidance that you use to decide when you really were needed? 32:37 Trella Rath: Yeah. So for the most part, it is mostly hands-off. The wikis are really good about self-pleasing, self-moderating. Every wiki have their own system put in place of how they would nominate their own admins and moderators and whatnot. I was kind of brought in when there was drama afoot. Glee Wiki had lots of drama. But you would get these admins who would come in, they would have a bad day, and de-admin everyone else and make their friends all admins. And it was like, “Okay. Hold on. Let’s not do that.” An admin would get really mad at someone and decide they wanted to delete all these pages which thankfully they’re pretty easy to restore. But we would get a bunch of support tickets in that was like, “Oh my gosh. This admin’s on a rampage. Please, please stop. Help!” And so I’d go in there with my superhero cape and try and save the day or at least threw some mediation practices in place and give all the admins and moderators a talk to each other about how they can fix this and play nice. 33:37 Patrick O’Keefe: Speaking of a lack of education about how wiki works, I mean when someone comes in and deletes the page, they just don’t understand it doesn’t really do much. 33:44 Patrick O’Keefe: It’s all backed up. Like. there is this edit and revision history that you can instantly restore from. So really, you’re not doing anything. 34:15 Patrick O’Keefe: Trella, thank you so much for coming on the show and for sharing your experience with us about wikis and about the job hunt. I really appreciate it. 34:22 Trella Rath: Yeah. Thanks for having me on. It’s awesome chatting about this. 34:25 Patrick O’Keefe: We have been talking with Trella Rath, formerly of Mekanism, Goodby Silverstein & Partners, Wargaming America and Wikia. Follow her on Twitter, @trellar. That’s T-R-E-L-L-A-R. For the transcript from this episode plus highlights and links that we mentioned, please visit communitysignal.com. Community Signal is produced by Karn Broad, and I’ll see you next week.